Directed by Santa Barbara-based Louise Palanker, Family Band: The Cowsills Story is an engaging, in-depth, and fascinating look at how one of the most popular bands of the 1960s — and probably the most ambitious and inclusive family-based group — crumbled under the weight of an abusive father-manager. Following the band from its early days on Ed Sullivan, when they played with an instinctual sibling harmony and inspired the creation of The Partridge Family, all the way through the more recent deaths of some family members today, the emotional but fun doc makes us remember the band whose version of “Hair” — not to mention the song “The Rain, The Park, and Other Things,” which you’d know if you heard it — is burned in everyone’s mind. Palanker recently answered a few of my questions via email. She will do the Q&A with Shirley Jones and Bob Cowsill will be there too. Bob is performing at Soho following the screening. 2/4 at Metro. How’d you decide to do a doc on the Cowsills? I had been a big fan of The Cowsills as a kid, convinced that they were the most talented people on the planet. I was confused and disappointed when they disappeared from the scene. 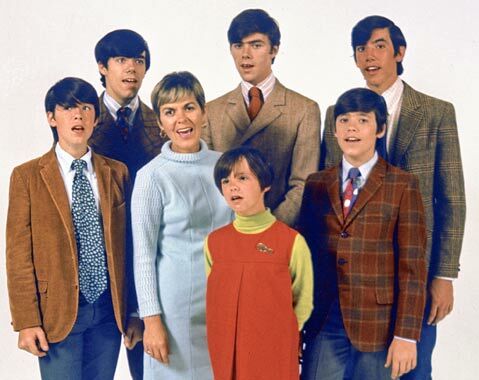 As an adult, I often wondered what had become of them, so when we all started googling, I googled The Cowsills and learned that Bob Cowsill plays often at pubs in Los Angeles. I went to see him one night, somewhat frightened of what I would find. It turned out to be the night Bob’s brother, John Cowsill was marrying Vicki Peterson from The Bangles. All of The Cowsills were gathering at the pub. I sat there watching them stream in and it was as if all the posters on my childhood wall had grown up and come to life and were walking and talking and had kids of their own. When The Cowsills all crowded together onto that tiny stage, their blend was as pure as I had remembered which, once again, raised the question, “What happened to The Cowsills?” I began asking Bob if he would be open to a documentary and he was very reticent at first. But, he never actually said, “No,” so I kept asking. How long has it been in the works? It’s taken over seven years to complete the film. Was it hard to get them to open up? How about for Richard to do so, as he seemed more reclusive? It was not difficult to get them to open up, but it is really raw for them. I think they want their story told but that does not mean that it’s easy for them to talk about a lot of what’s in the film. Richard was the most eager to talk. His perspective is especially unique. He was not a singing Cowsill and yet he has the last name Cowsill and is the only sibling kept out of the Family Band. That was incredibly lonely and isolating for him and he wants to tell his story. The unfolding of the family drama, funerals and all, made for quite a saga. How did that affect production schedules? After Barry went missing, they did not want to talk to me. It was a scary and delicate period of time, but I knew that at some point, we were going to learn what had happened to Barry and I needed to somehow cover that time period. I did what I felt was appropriate based on the gravity of the situation. We were then welcomed to cover the funeral and the celebration of Barry’s life, but after Billy died, the Cowsills wanted to take a break and we put the project on hold for two years. Any ideas on what happened to all that money? It’s somewhat of a mystery, but I have a couple of theories. One, if you do not earn money slowly and naturally, you do not learn how to manage money. Bud Cowsill was not good at surrounding himself with people from whom he could learn. He liked to be around people who did what he said. He made some very unwise investments and probably felt rich and, with a family of nine, maybe spent too much, too quickly. And two, there’s a name that keeps coming up. I believe it’s the same man who got Willie Nelson in trouble with the IRS. He was their financial manager. As Biggy says in the film, they sent money home, but they are just not certain it went where it was supposed to be going. They seem pretty well adjusted for something so traumatic to happen to them at such a young age. Are they “normal” in person too? The Cowsills are incredibly normal, happy, fun, interesting, and engaging people. The true test is that they have all raised fantastic kids with whom they have beautiful relationships. Look, we all have issues, especially, in my opinion, creative people, but for a group of siblings who were never really “raised” but who raised each other, they are excellent. Do you think they would have traded their time in the limelight for a more regular existence? You should ask them that. I am going to say no. As Barry says in the film, “We wanted to play.” Music was what fed them. My opinion is that it would have been healthier to allow them to make all the music they wanted in the garage, let them go out and play around Newport on weekends, but have them stay home, grow up, go to school, and pursue professional careers as adults. But Paul makes an excellent point when he says that he had an epiphany one day. Was he going to believe a sea of screaming fans telling him he’s okay or was he going to believe his knucklehead father telling him he was worthless? Maybe, in a way, the limelight saved them. What should young musicians take away from this story? You have your whole adult life to make music professionally. You only get one childhood. There are so many ways to create and share your music with Garage Band and YouTube. Learn and practice your craft. Collaborate with like minded people. Play locally, grow up, and learn who you are before pursuing any sort of professional career. When adults are making money off of you being where they need you to be and doing what they need you to do, your development as a human being takes a back seat. Make your music, but stay home, be a kid and grow up out of the spotlight. The world premiere of Family Band: The Cowsills Story is on Friday, February 3, 7:20 p.m. at the Metro 4. Director Louise Palanker will be in attendance, as well as Shirley Jones from The Partridge Family and Bob Cowsill, who is also playing a gig that same night at SOhO after the film.